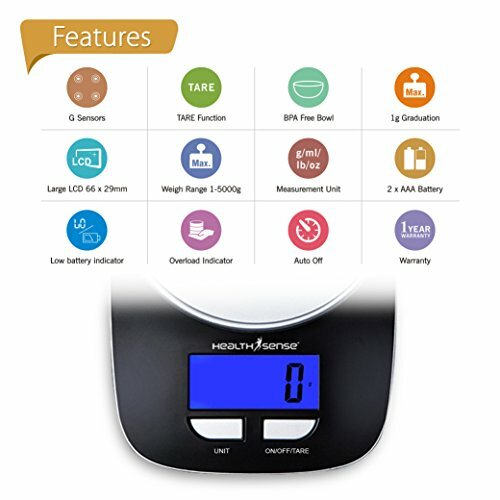 HealthSense Chef-Mate Digital Kitchen Scale – Model KS 33 The HealthSense Chef-Mate KS 33 provides accuracy and precision while incorporating a beautifully modern design. 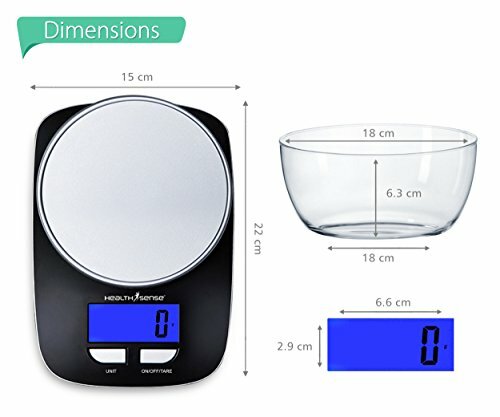 This scale is built for all of your cooking, baking, and household needs and utilizes leading industry technology with its high precision weight sensors. 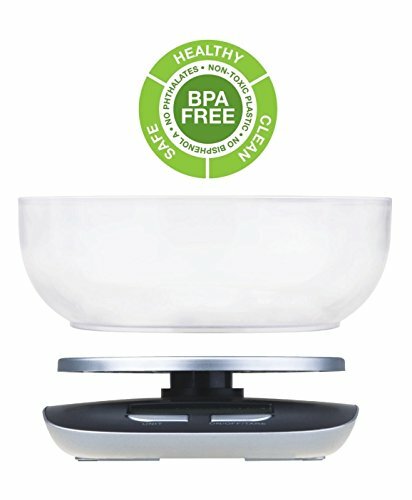 Take advantage of cutting-edge technology that assures each time you use the scale you are receiving a precise reading. It features a charming Blue back-light LCD that clearly displays your weights in multiple units. 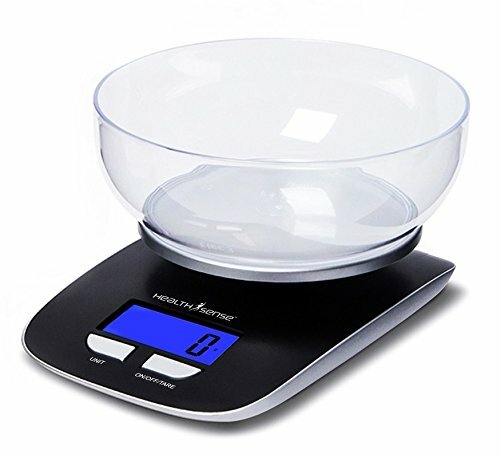 The scale’s multi-unit capability includes; pounds, ounces, grams & milliliters. 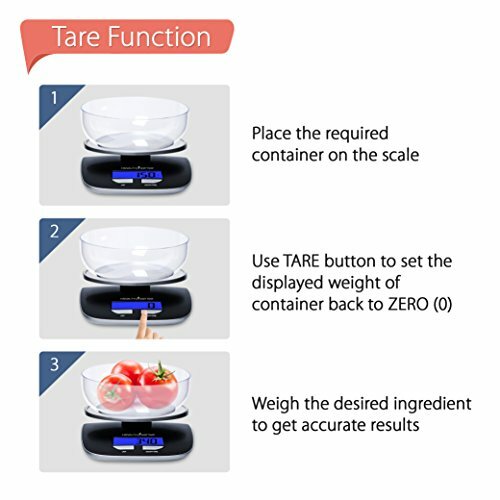 Tare function: When using a container etc. to weigh another object, you want to know the exact weight of the object without the container’s added weight. 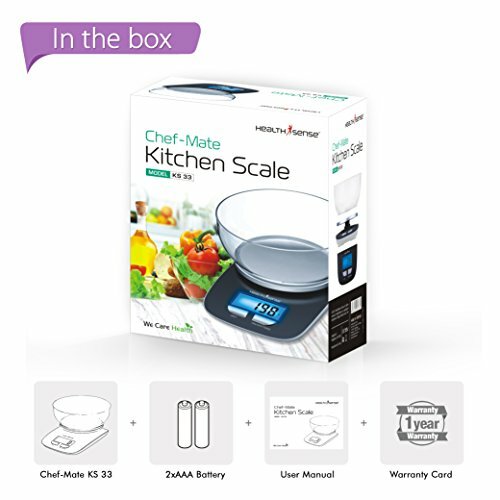 The Chef-Mate digital kitchen scale has a great tare function to accomplish just that. Start by placing the empty container on the weighing surface. The display will show you that empty weight. Press the on/off/tare button, and the weight reading will go down to “0”, effectively adjusting the measuring guide. Proceed to place the object into the container or plate, and thus get an accurate net weight reading.